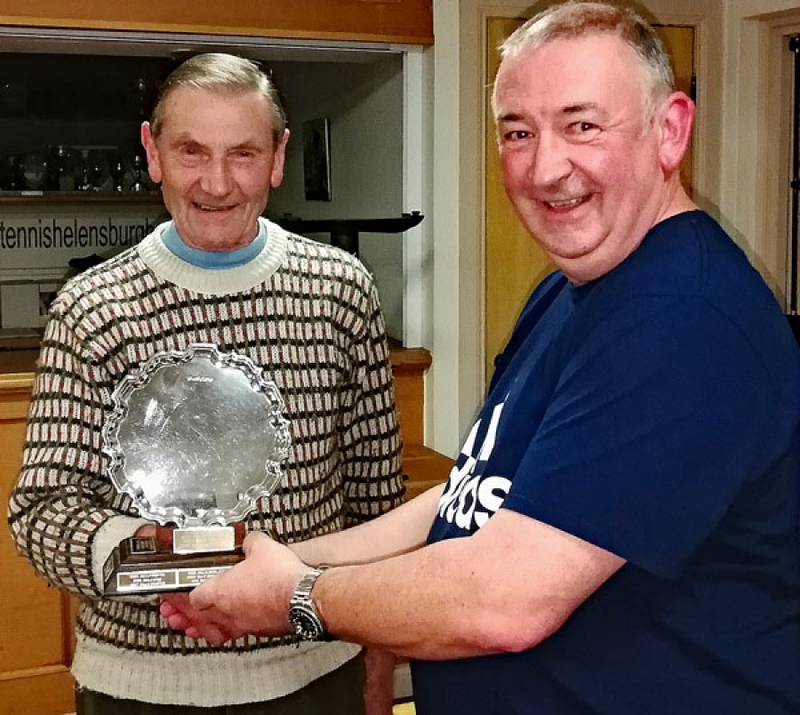 A MEMBER who has given great service to Helensburgh Tennis Club over many years was honoured at the club's AGM on Thursday evening. President Keith Love presented the Winifred McKenzie Memorial Salver to mens teams member and former committee member Ralph Ward. Presented by the late Mrs McKenzie in the club's centenary year, 1984, it is awarded annually to someone who has given exceptional service, on or off court. Keith said: "Ralph has been a sterling servant of the club for many years, playing in mens 2 and mens 3 teams, plus the mens over 60 side this year. "His enthusiasm and will to win are to be admired, and I can only hope I am still able to play at the standard Ralph plays at in my later years. "He is a true inspiration to all of us." Ralph has also given many hours of service helping house and grounds convener Ian Parlane tackle all manner of tasks.